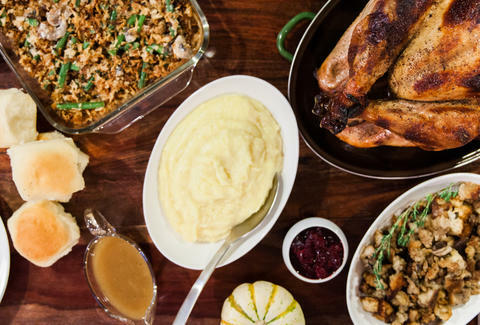 This Thanksgiving, instead of sneaking bites of leftovers at 3am, do yourself right and make them into a casserole. It's almost as easy as shoveling fistfuls of sides into your mouth, but it tastes much better because time in the oven melds all those flavors together so you get a little bit of everything in each bite. The stuffing on top crisps up while the edges caramelize into what I refer to as "Thanksgiving candy". My family liked this casserole so much, we're seriously considering serving it for actual Thanksgiving next year. If you don't have enough leftovers to fill a 9-by-13-inch dish, just use a smaller dish, or experiment and toss in some other foods. But since you're in the know now, just plan ahead and make enough. And by enough, I mean extra. Butter a 9-by-13-inch baking dish. 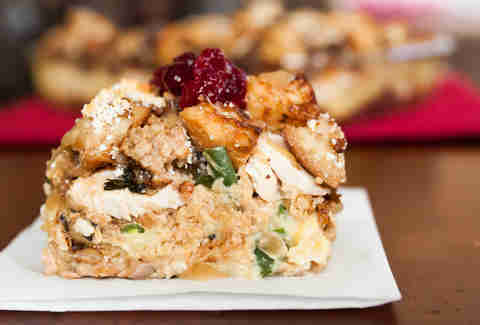 Spread half the stuffing in an even layer on the bottom. Follow with half the turkey in an even layer. Drizzle 1/4 cup gravy over the turkey. Spread half the mashed potatoes in an even layer over the gravy. Follow with an even layer of green beans (all of them). 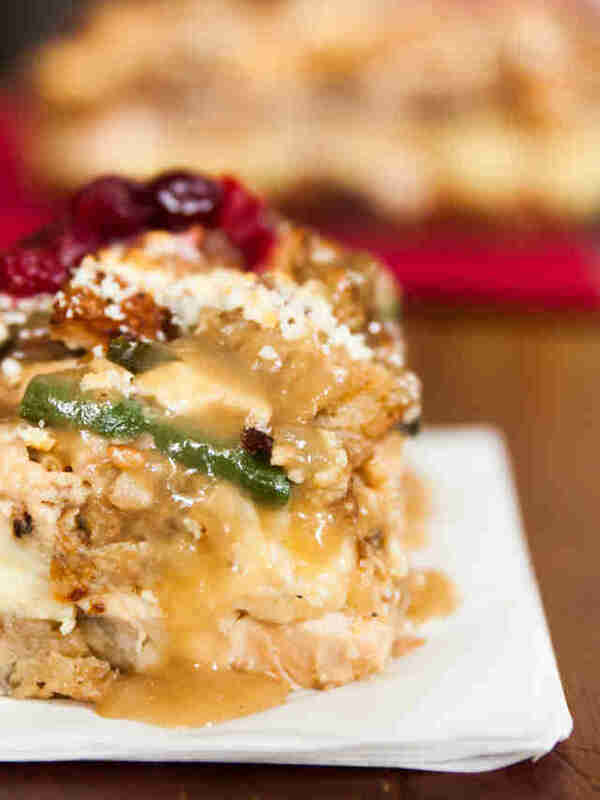 Repeat layers, but this time backwards: mashed potatoes, gravy, turkey, stuffing. Finish with another 1/4 cup of gravy. Sprinkle cheese on top. At this point, you can cover and refrigerate until ready. It'll keep for a week. Cover loosely with foil and bake for 20 minutes. Remove foil and bake until cheese browns and stuffing gets crisp on top, about 25 minutes. Top with remaining gravy and serve with cranberry sauce.